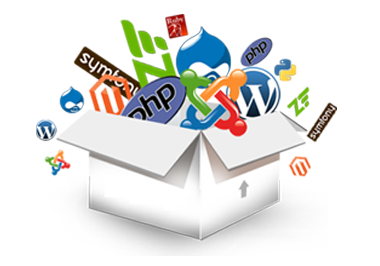 Allwell Solutions offer a wide variety of services ranging from simple static pages, dynamic pages, complex web-based applications, electronic business, e-commerce online store, and content management systems. We create custom websites, according to your requirements. Our website design service caters design to all different kinds of sectors such as business websites, educational websites, fashion websites, media websites, etc. We are driven to provide quality solutions. Is your web developer using someone’s readymade template for your website? We build websites from scratch and custom code your website. Our solutions are tailored to your requirement. We highly recommend internet marketing along with your website design/redesign. Being found on search engine results is important. We offer organic search service and paid internet marketing such as Google Adwords. Our experts analyze your website content, statistics, structure, and enable your website to be user friendly Search Engine Optimization (SEO). We enables you to leverage social media presence by understanding your prospective clients and market behavior. We create and manage business/fan pages to interact with your prospective clients by linking social media back to your website. Do you use Social Media- Facebook, Linkedin, Google+, Twitter, Youtube? So do your prospective clients. We have the experience and expertise to build e-Commerce stores with eye catching designs and user friendly functionality. A great design adds value to your brands image and also enables consumers to trust your products. It researching your business and target markets, our team will build your online store. Along with great design and functionality we give detailed attention to creating a layout that is easy to navigate and conversion driven. We have our own e-commerce website solution that tailors all of the best of e-commerce development and design to create user friendly and crucially barrier free websites. We have now created in excess of 100 e-commerce websites some of them generating sales in excess. Putting the user at the centre of any e-business strategy is the key to its success. UCD isn’t the fun part of website design but it is the crucial part. We’ll look at user profiling, task analysis, interaction design, website visualisation, information architecture and design to name but a few to propel your site forward. Allwell design and build websites to perform well in search engines by building each page around a different search term (keyword). We apply a number of SEO tools such as a comprehensive website audit, keyword searched, and link strategy to co‑ordination; all of which help to keep your website search engine friendly. E-business programmes and projects are notoriously problematic, challenging even the best project managers, so we have built on that experience by putting together a range of helpful services; taking your strategy back to basics, project recovery, project management framework and design implementation. Your website is now the critical extension of your brand. It is therefore vital that it can make the most of the new business opportunities offered by the web. Allwell keeps itself in the vanguard of new web technologies so that we can build ever more dynamic websites.